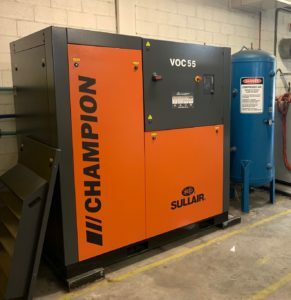 EHL Group and Sullair Compressors – Air Compressor Solutions for your site! 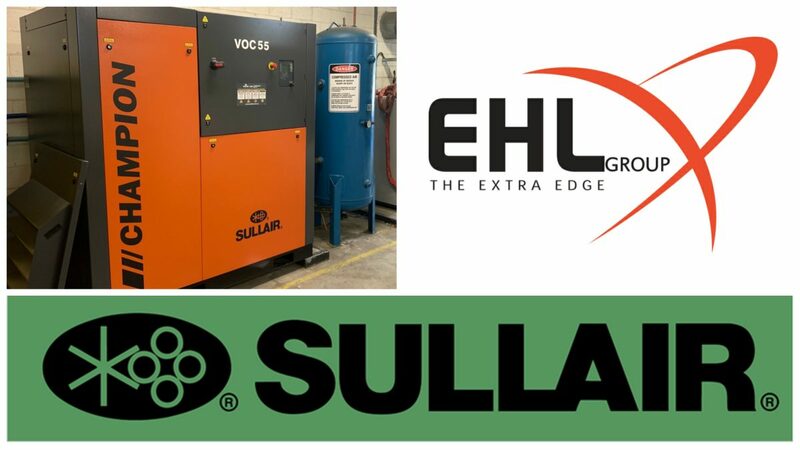 02 Apr EHL Group and Sullair Compressors – Air Compressor Solutions for your site! 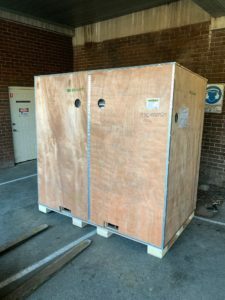 With ever increasing costs of production, EHL advised our client to consider replacing an older compressor that was not keeping up with requirements with a new SULLAIR VOC unit. The solution provided additional air capacity to meet not only the needs of today, but that of tomorrow, whilst maximising energy efficiency. EHL undertook a full check of the receiver and air treatment sizing to ensure flow optimisation throughout the system. Coupled with our ongoing leak and piping checks of the plant, the EHL team were confident in both the sizing of the compressor and the integrity of the air system in the plant. Australia’s trusted Champion Compressors by Sullair are designed in Australia to meet the demanding Australian conditions and offer significant energy savings and reliability. Variable speed drive and Variable Output Control technology, combine motor speed regulation and effective compression length to adapt to changes in air demand. Champion V.O.C/V.S.D. air compressor machines are rated to operate in extreme dusty and humid 50°C ambient temperatures. Air ends fitted to these machines are globally recognised as a first-class component with an extremely long life expectancy when serviced in accordance to the operations and maintenance manual. The electrical and mechanical components used in this range have a proven track record for providing superior reliability in severe conditions. Contact EHL Group for further information on how we can provide the correct solution for your compressed air needs.